Each year, we celebrate our colleagues – as well as our customers, communities and shareholders – during Credo Week for all the hard work they do over the course of the year. It’s an opportunity to take a moment and recognize the incredible workforce that has helped us grow into the leading financial institution we are today. It’s also an occasion for colleagues to take some time out of their days with some well-deserved fun and entertainment. This year, we highlight all the ways our company and our colleagues are reaching their potential during Credo Week. What festivities and surprises does Credo Week have in store for our dedicated, fun-loving colleagues? In support of Hunger Action Month throughout September, colleagues take part in a company-wide food drive to help fight hunger. Our offices in Chicago, Stamford and New Hampshire participate in a contest to see who can raise more food – a little friendly competition to encourage donations! At the heart of Credo Week is a commitment to support our local communities. Numerous special volunteer activities take place throughout our footprint, all driven by the enthusiasm of our colleagues to go out and get involved. During Credo Week, we provide colleagues with a variety of resources for healthy living such as fitness and financial wellness webinars, because healthy colleagues are happier, live longer and are more productive (at home and in the office). Throughout the week, members of Citizens Executive Committee visit colleagues in person and host activities throughout the corporate offices and branch locations within our 13-state footprint. Trivia, photo booths and giveaways are sponsored throughout the week to encourage colleague fun, team building and collaboration. Giveaways include FitBits, yoga mats and even Apple watches! Colleagues with 25 years of service or more are honored in a special ceremony and Credo Awards are presented all week long to individuals who go above and beyond. Each day of Credo Week has a theme, starting with “Reaching our Potential.” Subsequent days are dedicated to the four pillars of the Citizens Credo – Customers, Colleagues, Communities and Shareholders – to demonstrate our commitment to them each day. A favorite component is our Credo Week Instagram contest, where colleagues are invited to share their favorite Credo Week moments on Instagram with the hashtag #CitizensCredo for a chance to win prizes. 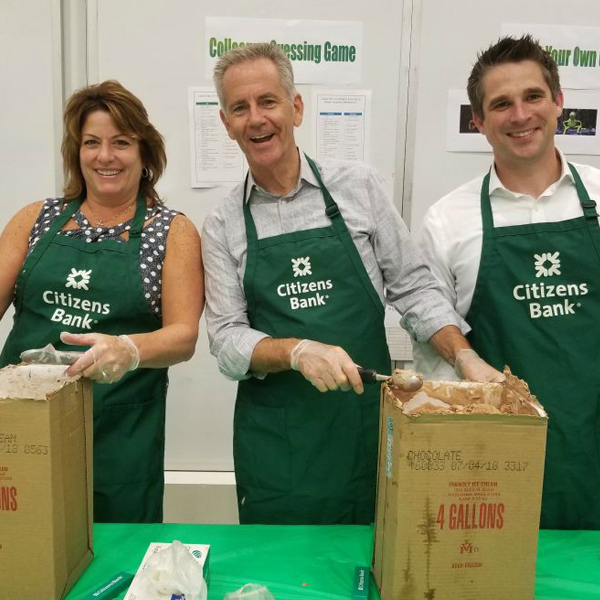 Colleagues post pictures of their teams enjoying the festivities of the week and randomly selected photos are chosen to get a “re-gram” on the Citizens Bank profile. Aside from the chance to win awards, it’s a reminder that Citizens is a team-oriented culture and our most valuable asset is our colleagues. Learn more about our rewarding career opportunities and our culture of recognition.